The site of Saint Joseph’s Oratory of Mount Royal is suitable for people whose mobility may be limited in some way. 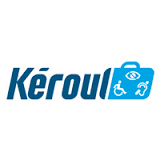 The Oratory received the accessibility certification from the Kéroul organization in March 2012. It is also part of the Montreal circuit of The Accessible Road. The places of worship and of recollection, service pavilions, museum and permanent display on Saint André, meeting rooms and the Jean XXIII lodging pavilion have facilities adapted for guests using wheelchairs. Two elevators provide easy access to all levels, from the Crypt Church to the basilica. Spaces are reserved for holders of disabled parking stickers. To facilitate movement around the site, mobility-impaired persons can borrow a wheelchair during their visit to the Oratory. This service is free. A piece of identification must be presented and left at the welcome desk located at the entrance to the votive chapel. This is returned to the holder when the wheelchair is returned. Wheelchairs are also available to pilgrims during the Eucharistic celebrations that take place in the Basilica. The Work of the Pilgrimage to the Sick offers services and activities for the sick, elderly or mobility-impaired persons. During certain celebrations, a team of volunteers is available to welcome people, provide wheelchair transportation and oversee the well-being of the sick. Please consult the page on visiting the Shrine to organize tailored visits and guided tours. The Work of the Pilgrimage to the Sick can also propose some options.